HMS Sutherland (F81) built by Yarrow Shipbuilders and launched on the 9 March 1996 by Lady Christina Walmsley and commissioned 4 July 1997. 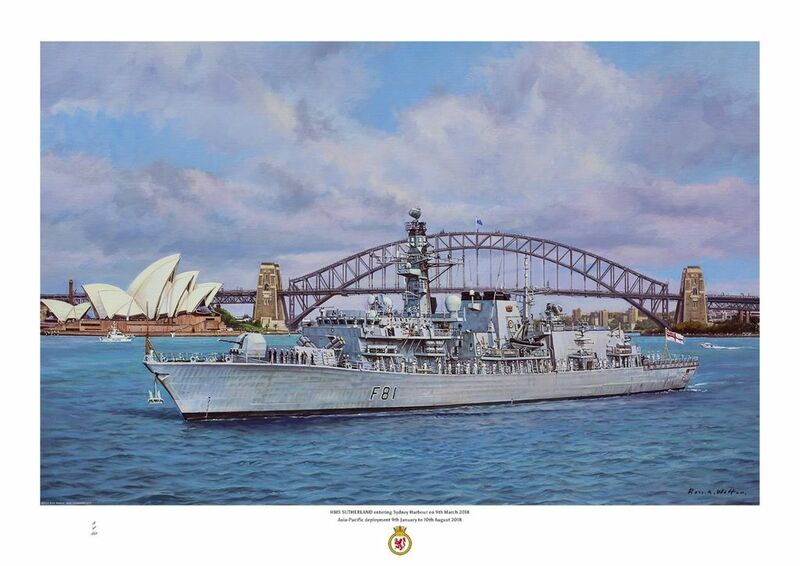 She is the third Royal Navy ship to bear the name and the thirteenth Duke-class frigate. She is 436 ft 4 in long with a top speed of 28 knots and a displacement of 4,900 tonnes. She has a complement of 185. She is 436 ft 4 in long with a top speed of 28 knots and a displacement of 4,900 tonnes. She has a complement of 185.
during her Asia-Pacific deployment 9 January to 10 August 2018.